Welcome to the Fulbright Foreign Language Teaching Assistant Summer Orientation workshop, funded by the U.S. Department of State’s Bureau of Educational and Cultural Affairs as part of its Fulbright Program, which is the U.S. government’s flagship international exchange program. Fulbright is supported by the people of the United States and partner countries around the world. 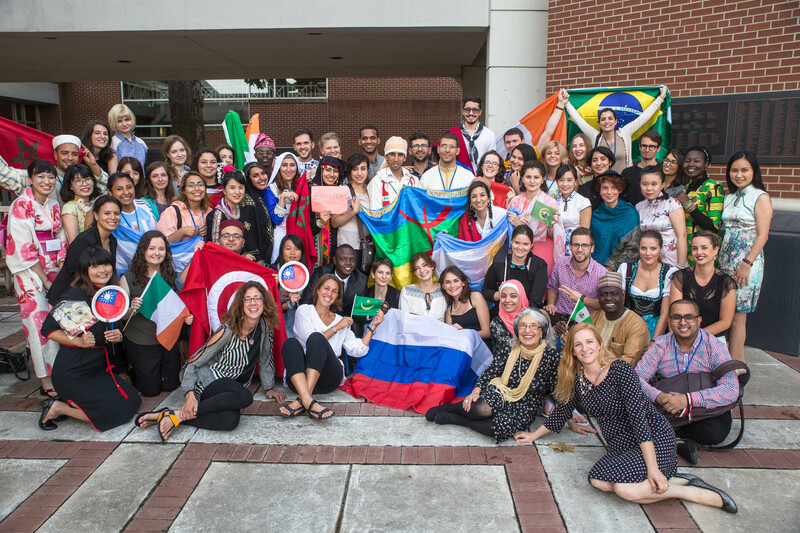 The FLTA Summer Orientation is administered by the Institute of International Education (IIE) and hosted by Spring International Language Center (SILC) at the University of Arkansas. The University of Arkansas, founded in 1871, is located in Fayetteville in the northwest corner of Arkansas. Today there are over 26,000 students from all over the United States and more than 120 countries. The U of A is home to 10 colleges, including the Fulbright College of Arts and Sciences, and more than 210 academic programs. The University of Arkansas has a long and intimate history with Senator William J. Fulbright. He not only attended the University, but he was President of the University of Arkansas as well. Later during his tenure as a U.S. Senator from the State of Arkansas, he was responsible for the legislation that created your Fulbright Program. We have a statue of Senator Fulbright here in Fayetteville and he now stands gazing at the Fulbright Peace Fountain on our campus. We will happily take your picture with the Senator when you arrive. We are thrilled that you will be joining us for your FLTA Summer Orientation. The program is designed to assist you in beginning your journey as a successful FLTA. We will provide you with an overview of the US educational system and academic culture and an introduction to language teaching methodologies and resources. The orientation is also an opportunity to network with fellow FLTAs. Your Program Schedule is available here. If you have not yet done so, please fill out your Travel Information form as soon as possible. We look forward to meeting you personally. Take care and have a safe journey to Fayetteville. You have a very exciting time ahead of you and a great responsibility to continue the Fulbright legacy. This activity is funded by the U.S. Department of State‘s Bureau of Educational and Cultural Affairs as part of its Fulbright Program, the U.S. government’s flagship international exchange program supported by the people of the United States and partner countries around the world. It is administered by the Institute of International Education and hosted by Spring International Language Center at the University of Arkansas, Fayetteville.